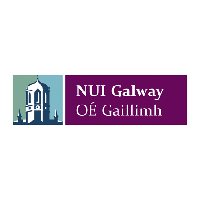 NUI Galway provides part-time courses, evening classes and adult education in Galway. It is a constituent university of the National University of Ireland. As a tertiary-level educational institution, NUI Galway is ranked among the top 2 per cent of universities in the world. At the Centre for Adult Learning and Professional Development at NUI Galway, we offer an extensive range of Professional, Part-time and Evening courses. Our flexible courses allow you to study at your own pace in a wide range of subject areas. Whether you want to improve your skills for employment or for your own personal development, NUI Galway has the course for you! We have over forty years’ experience working with adult learners, local communities and organisations. We offer a wide range of affordable and flexible part-time courses in a variety of subject areas such as Business & Management, Science & Technology, Arts & Social Sciences, Community Education, Early Childhood Studies and Training & Education – as well as short courses, CPD courses, Springboard courses and online courses. NUI Galway is located on the west of Ireland, surrounded by the beautiful and spectacular landscapes of the Wild Atlantic Way. Galway city is one of Ireland’s most vibrant and diverse hubs that caters a distinct culture for tourists and its NUI students. Today, NUI Galway has over ninety buildings on its campus overlooking the River Corrib, offering picturesque scenery for its students. For more information about the adult courses, part-time and evening classes at the Centre for Adult Learning and Professional Development at NUI Galway, please view our courses below in Nightcourses.com’s Course Finder. The Certificate/Diploma in Community Development Practice are part-time courses, designed to enable community activists gain a thorough understanding of community development combined with the practical skills necessary to work effectively in development work. Beidh an cruinneas na teanga chomh maith le litrocht mar chrolr an chrsa. Cldidh siollabas na cime: Cruinneas na Gaeilge; crsa litrochta, baloidis agus staire cultrtha; gnithe den aistrichn agus den iriseoireacht.